U.S. Rep. Emanuel Cleaver greets two Bernie Sanders supporters in Philadelphia. 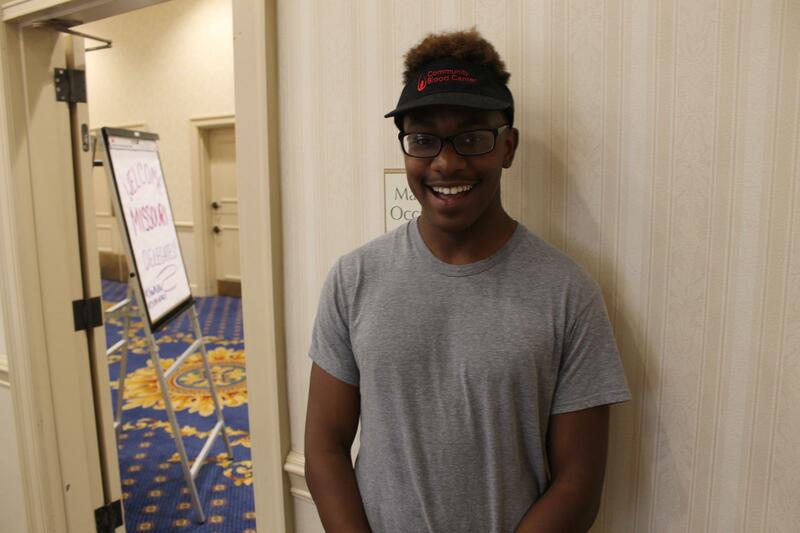 Cleaver backed Hillary Clinton during the presidential primaries. PHILADELPHIA – In some ways, Hillary Clinton’s impending presidential nomination has been a long time coming for U.S. Rep. Emanuel Cleaver. The Kansas City Democrat was a strong supporter of Clinton in 2008. He said he felt immense pressure to back then-U.S. Sen. Barack Obama – who, of course, would go onto become America’s first black president. 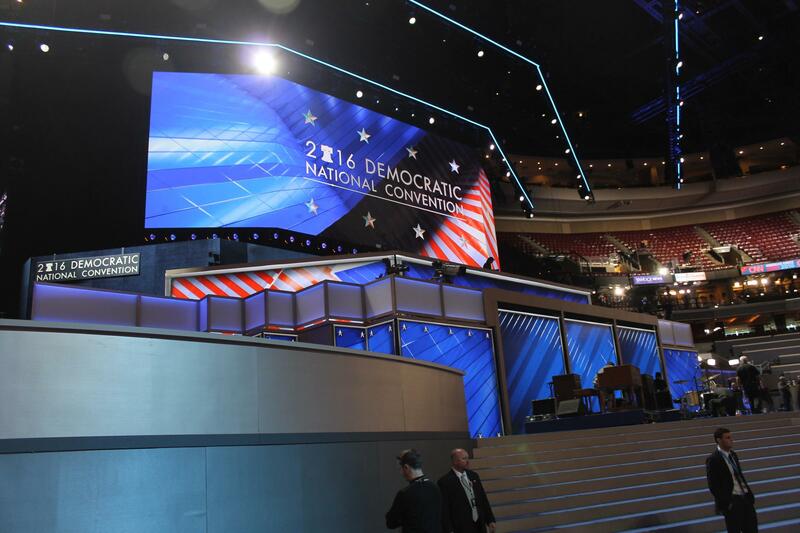 Reporter Jason Rosenbaum gives an update on the Missouri delegation at the Democratic National Convention in Philadelphia, Pennsylvania. “Loyalty should supersede almost anything else in politics. Unfortunately it doesn’t,” Cleaver said. “And I didn’t know Barack Obama like most of the other people. And so, I was unwilling to abandon a friend for somebody simply because I’m African-American and he’s African-American." He said Obama saw his loyalty to Clinton as a sign of character and later made him a co-chairman of his re-election campaign. 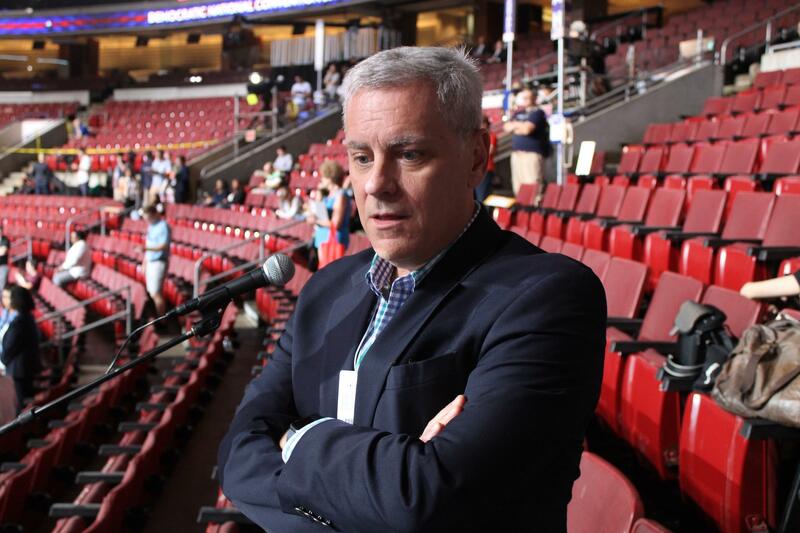 Missouri Democratic Party Chairman Roy Temple stands inside the Wells Fargo Center on Sunday. 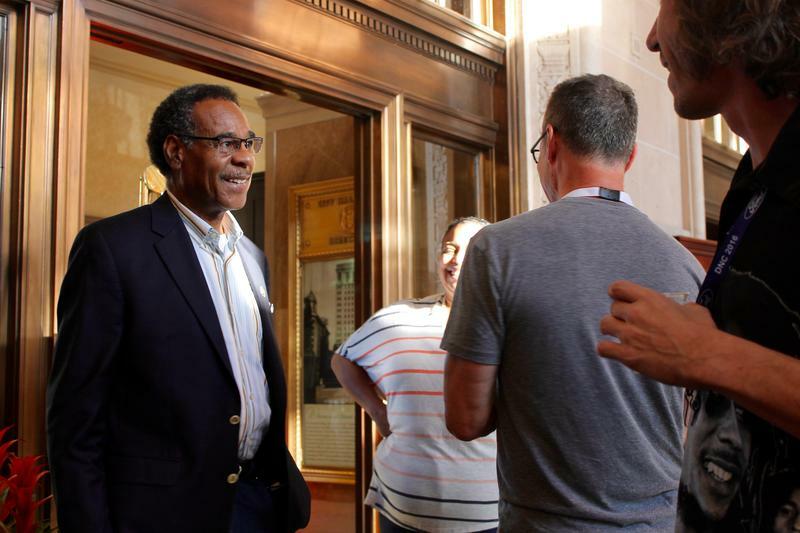 Cleaver’s sentiments have been shared by a good chunk of the Missouri delegation, a mix of elected officials, activists and behind-the-scenes players. Some such as state Auditor Nicole Galloway are enthused about placing a woman at the top of a presidential ticket. 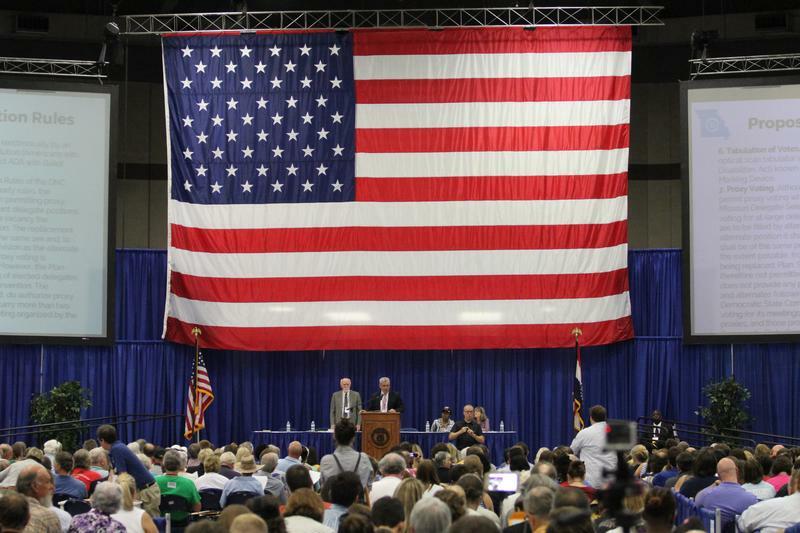 Missouri Democratic Party Chairman Roy Temple repeated his contention that the next few days will foster a lot of enthusiasm among the party faithful. He said there’s an added layer of excitement over the selection of U.S. Sen. Tim Kaine as Clinton’s running mate – especially since the Virginia Democrat has Missouri ties. But as people wait for the convention to gavel into order on Monday afternoon, the Democratic Party is facing some upheaval. Workers were working out the kinks of the video and sound systems on Sunday at the Wells Fargo Center. For starters, news broke on Sunday that Democratic National Committee chairman Debbie Wasserman Schultz was stepping down from her post. It came after Wikileaks released a slew of unflattering e-mails, many of which angered supporters of U.S. Sen. Bernie Sanders. Sanders supporters also made headway in changing how so-called "super delegates" can vote. While he won’t have enough delegates to prevent Clinton from snagging the nomination, Sanders will have a fairly large contingent of delegate support over the next few days. In fact, Missouri’s delegation is split basically evenly between Clinton backers and Sanders supporters. And a few Sanders delegates said they were not enthused with Clinton's decision to pick Kaine as a running mate. 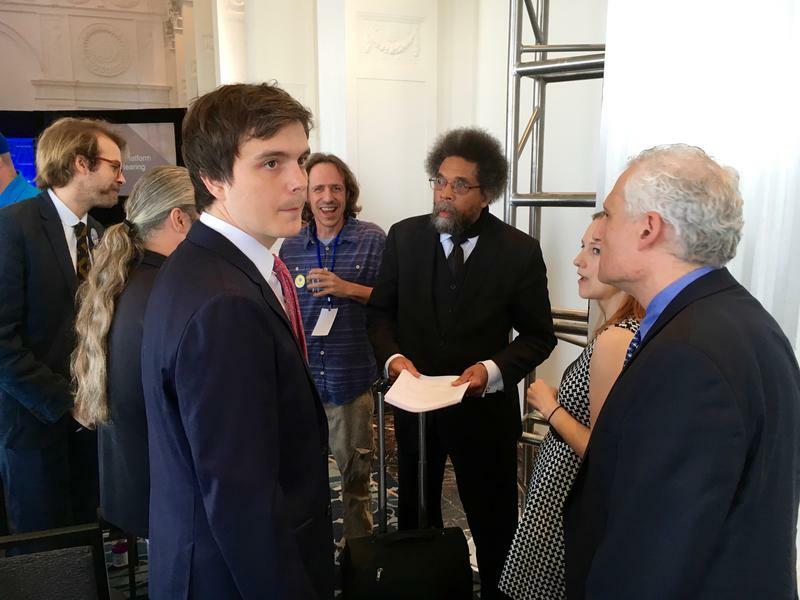 Brandon Baker is a 19-year-old Kansas City resident and a Sanders delegate. He wondered aloud how Wasserman Schultz’s departure would impact the rest of the convention. Brandon Baker of Kansas City is a Bernie Sanders delegate. When asked about Wasserman Schultz’s departure, Cleaver said he had decidedly mixed feelings. While adding that he had close personal ties with her, Cleaver said she made the right decision to avoid being a distraction at the convention. 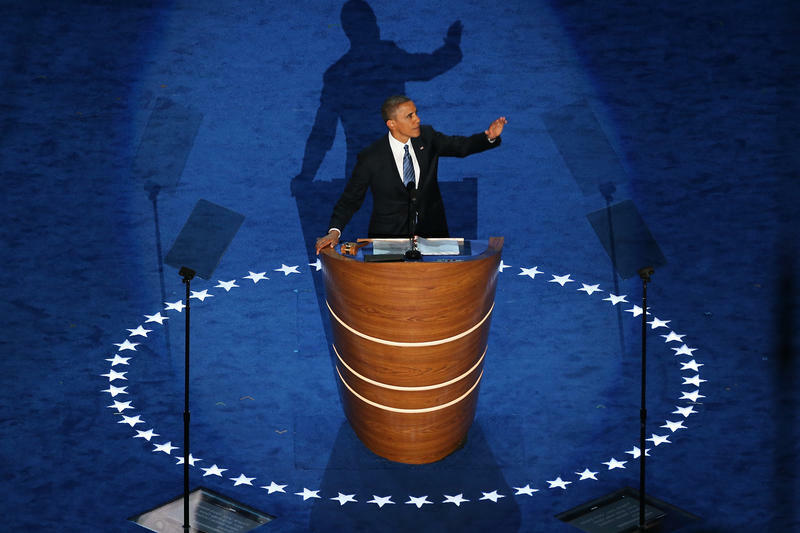 If you missed the last night of the Democratic National Convention in Charlotte, N.C., we live blogged it here. 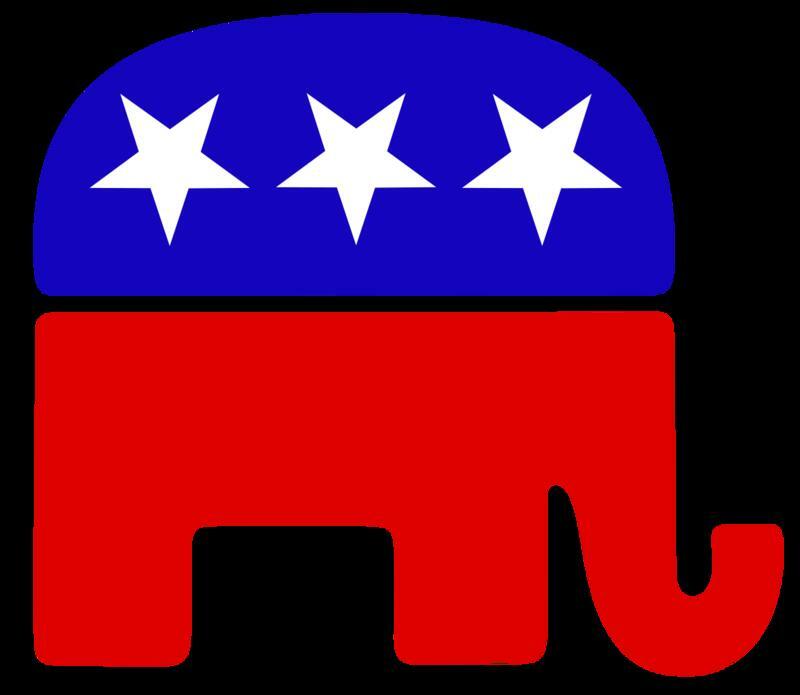 St. Louis has decided against bidding to host the 2016 Democratic presidential convention, citing the current civic focus on improving the downtown access to the Gateway Arch. Instead, city officials will consider seeking the 2020 convention "when the Arch (project) is done and paid for," a spokesman for Mayor Francis Slay said Thursday. You could say Jimmy Loomis has accomplished a lot in a short period of time. The 21-year-old Washington University student is president of the school’s College Democrats chapter. He’s also a Democratic committeeman in St. Louis County, which means he’ll get a say in who will follow state Sen. Joe Keaveny in the Missouri Senate. But perhaps Loomis’ most impressive feat may have been besting dozens of people to become a national delegate for likely Democratic presidential nominee Hillary Clinton. That means he’ll get to go to Philadelphia next week with some of the Show Me State’s most prominent activists and political figures. And he’ll get to be an active participant in what’s been a historic presidential election.